First part of the Bundesliga 2016/2017 season was filled with excitement and surprises. With the new manager at the helm, Bayern Munich were given an unexpected test to their title ambitions as Carlo Ancelotti’s men even lost the leading spot for a short while to none other than newly promoted side RB Leipzig. The Red Bulls were described as the Leicester City of the Bundesliga as Ralph Hasenhuttl’s men took the European football by storm with a string of impressive results. Not many people dared to predict RB Leipzig would be topping the league in their first-ever top-tier appearance, but the Red Bulls are playing above all expectations and are currently making it clear that they are here to stay. Chase for the Bundesliga trophy turned out to be more exciting than anticipated. 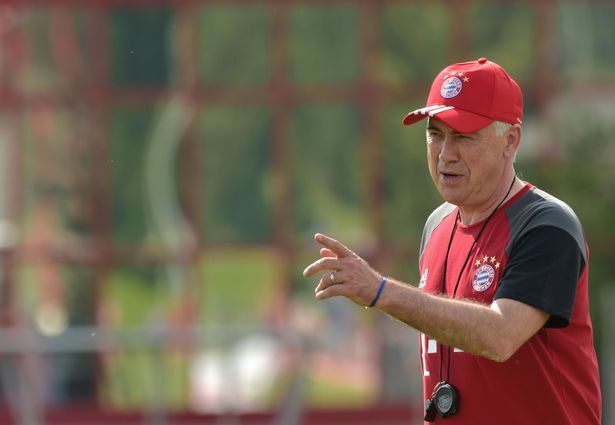 Having won four consecutive titles, Bayern Munich were the obvious prediction pick, but Carlo Ancelotti’s men went through some unexpected difficulties which saw them lose one and draw three games in the first part of the season. With Borussia Dortmund out of form and out of top five, it was RB Leipzig who took centre stage at the beginning of the 2016/2017 season. The Red Bulls did well to stake the claim on the title as they went on to defeat many of the respected German sides and keep pace with Bayern throughout the season. The final round before the winter break however saw them succumb to a compelling defeat at the hands of the Bavarians, who used the opportunity to send a clear message they won’t be relinquishing their crown that easily. Public predictions originally saw this season’s newcomers as teams that would be fighting for survival in the Bundesliga, but SC Freiburg and RB Leipzig are great testament to Bundesliga’s excitement and appeal as the newcomers are enjoying great starts to their life in the top tier. Following the 16 rounds of the first part of the season, Darmstadt 98 seem like the obvious choice for relegation. Eight points after 16 rounds are enough to suggest a tough fight is in store for the club after the break and we are prone to predict that Die Lilien will be among the teams to drop a level down. Hamburger SV have been dancing on the relegations line for some time now and we predict this could be the year they will lose their elite club status. Die Rothosen have been struggling to get back up on their feet as nine defeats from 16 games would obviously suggest. This goes without saying, RB Leipzig are the club that took us by the biggest surprise. We did predict that Red Bulls would do good – best of the promoted sides – but we could not have dreamed of such a start to their life in the top tier. Leipzig are beating the odds as they sit in the runners-up place, just three points behind leaders and champions Bayern Munich. They have done well enough to turn all the predictions upside down and punters are now wondering whether Ralph Hasenhuttl’s side have what it takes to endure the fight to the end. A couple of January reinforcements could stake further claim to support the belief and hope of the club which was founded in 2009. Hamburger SV have been struggling for far too long to be eligible for a place in this group, whereas Schalke 04 definitely fit the profile. The Royal Blues were seen as one of the potential surprises of the league and the predictions were clear regarding Markus Wienzierl’s side, which got boosted by exciting players during the summer transfer window. Only four wins and even eight defeats came as a huge surprise both to the fans and public and it would be highly interesting to see whether Schalke will be able to turn their fortunes around. The usual suspects lead the way midway through the Bundesliga season. Pierre-Emerick Aubameyang as the league’s top scorer with 16 goals to his name definitely is one of the players to keep an eye on in the second part of the season. Gabon international forward is in excellent form for his underachieving side and we predict his goals could be enough to spark the team forward after the break. Robert Lewandowski is another big man to watch as Bayern Munich striker stands on the quota of 12 goals scored so far. Other players to watch: Ousmane Dembele (Borussia Dortmund), Vedad Ibisevic (Hertha Berlin), Timo Werner (RB Leipzig), Anthony Modeste (FC Koln), Salomon Kalou (Hertha Berlin), Joel Pohjanpalo (Bayer Leverkusen). 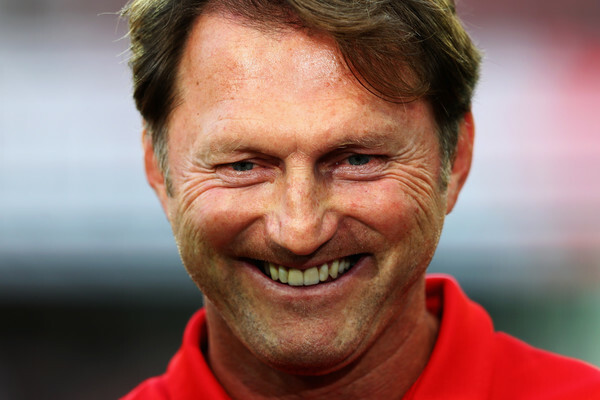 RB Leipzig boss Ralph Hasenhuttl hit the limelight in the first part of the season and we predict it will remain that way until the end of the 2016/2017 season. The 49-year-old Austian tactician forged a well-balanced side, which plays attractive, attack-oriented football and it is up to Hasenhuttl to keep the level of performances in the second part as well. With Carlo Ancelotti as an already established manager, the Borussia Dortmund manager Thomas Tuchel will also be under scrutiny. Jurgen Klopp’s successor is struggling to yield results from his tactical ideas and squad rotations thus far and we predict young tactician will find it a difficult challenge to mount until the end.